A4 Size Label For Laser, Inkjet & Copier, A4 Size Self Stick Labels available in Various Sizes of Labels. We offer a4 size self stick paper and a4 size self stick paper from Gujarat, India. A4 Size Label - - - For Laser, Inkjet & Copier. Easy Printing of CD Label by The help of Pre-feeded Software Setting. Ideal for home & office use. Special Grip tab & Centre aid for easy positioning of label on the disk. 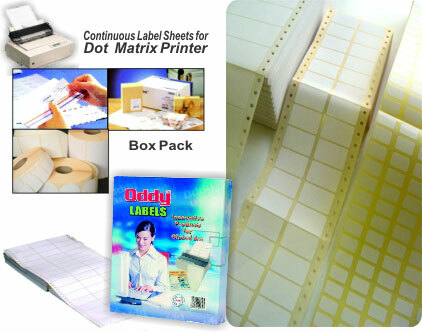 Feel free to contact us for dot matrix printer paper label and dot matrix printer paper labels. We are manufacturer of dot matrix paper labels in Gujarat, India. Special Acrylic Based Adhesive . Premium Silicon Based release for easy removal. High Thickness of release Paper to enable smooth running on printer.. Available with side strip and without side strip also. 2 Labels Per Sheet, Label size: 100x150mm, 1 Across, 250 Labels Pack. 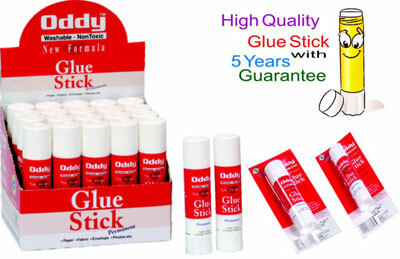 We deals in non toxic glue sticks and safe for children glue sticks. High Quality Adhesive. Quick Bonding, Excellent Paper to Paper Bonding . Attractive International Look Packing. Non-Toxic Formula, Safe for children. 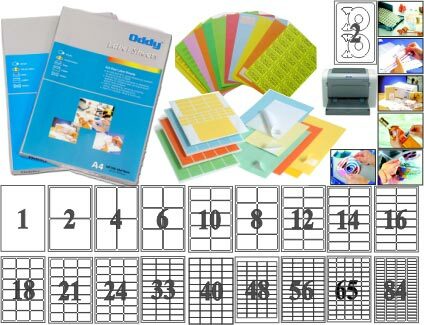 For Paper, Fabric, Envelope, Photos etc.. For any office school glue sticks requirement, send your query to us.